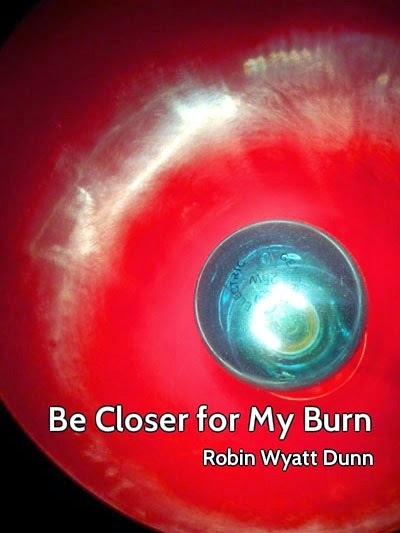 Crisis Chronicles Press is pleased to announce the publication of Robin Wyatt Dunn's Be Closer for My Burn in January 2015. It is the first release in our new NineSense series of loaded nine poem chapbooks by authors whose work you should know, if you don't already. Be Closer for My Burn is 8.5 x 5.5", hand bound and saddle stapled. Pale gray card stock cover. Red card stock endpapers. 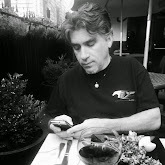 Steven Smith, author of Unruly, says, "Just read Robin Wyatt Dunn's Be Closer for My Burn ... very nice, nine short whaps. Think I like the NineSense series idea." Print run: 99 copies. ISBN: 978-1-940996-15-8. Robin Wyatt Dunn writes and teaches in Los Angeles. This is his fourth chapbook, and the first with an actual print run.